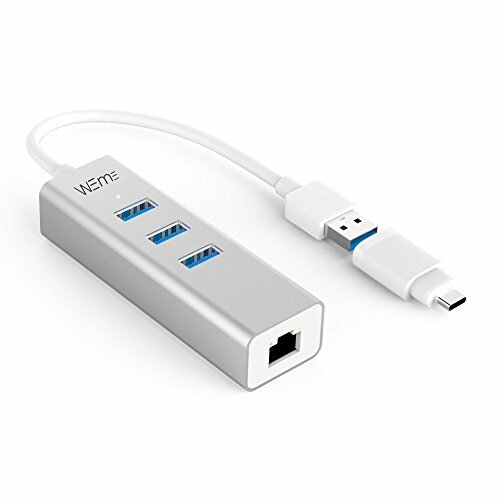 WEme Aluminum USB to Ethernet Adapter, with 3 Ports USB 3.0 Gigabit Ethernet Hub with Type C Adapter, allow you to attach more USB peripherals to your computer instantly and simultaneously. Built-in Gigabit Ethernet adapter lets you ride the fast and more stable wired network. White LED indicator on the top of hub indicates the working status of USB data transfer; while Green and Yellow LEDs near Ethernet adapter indicate internet connection and data transceiver status.